← Jon Benet Ramsey Child Beauty Princess: Suspect Confesses To Killing Her 22 Yrs. Later! 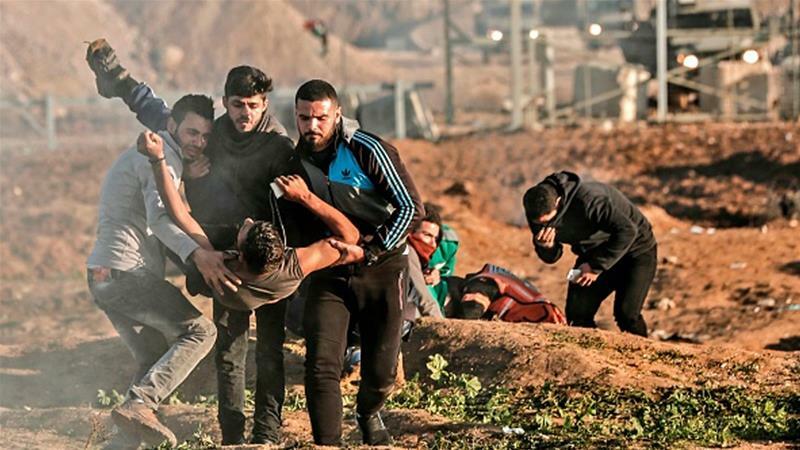 Israeli forces have killed a Palestinian woman and injured at least 25 people during protests along the border between the besieged Gaza Strip and the occupied territories. The clashes in Gaza reached their peak on May 14, the eve of the 70th anniversary of Nakba Day, or the Day of Catastrophe, which coincided this year with Washington’s relocation of the US embassy from Tel Aviv to occupied Jerusalem al-Quds. This entry was posted in News and politics and tagged 25 injured, Anti-human Israeli forces, Gaza, Israel kills woman, Palestinian Protest. Bookmark the permalink.